A lot of ladies actually hate washing their makeup brushes and I know some don't even have a routine to washing their brushes. I am totally not judging because I have frolicked in those shoes, I assure you. I have gone for a long time in the past (a really long past now) without washing my brushes which seems strange thinking about it especially as I own more brushes now than I did during those lazy times. I realised the reason I hated washing my brushes (apart from sheer laziness) was the fact that it seemed difficult to get the dirt/makeup/grease out because my washing products/tools were not doing a good job. Anywho, I have come to love washing my brushes and I even look forward to doing it after I discovered some easy ways to ensure washing my brushes did not have to be laborious task. 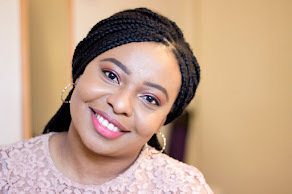 First, let's recap on some nasty things that can happen when you don't wash your brushes often: your skin would break out, get damaged from brushing on bacteria on it continuously, the lifespan of your brushes get shortened and the list goes on. Washing your brushes can help improve your skin massively including its texture, appearance and overall health so it is very important and should not be overlooked. Now on to the good stuff.. This has been tried and tested by so many and I cannot imagine how I only recently discovered it. 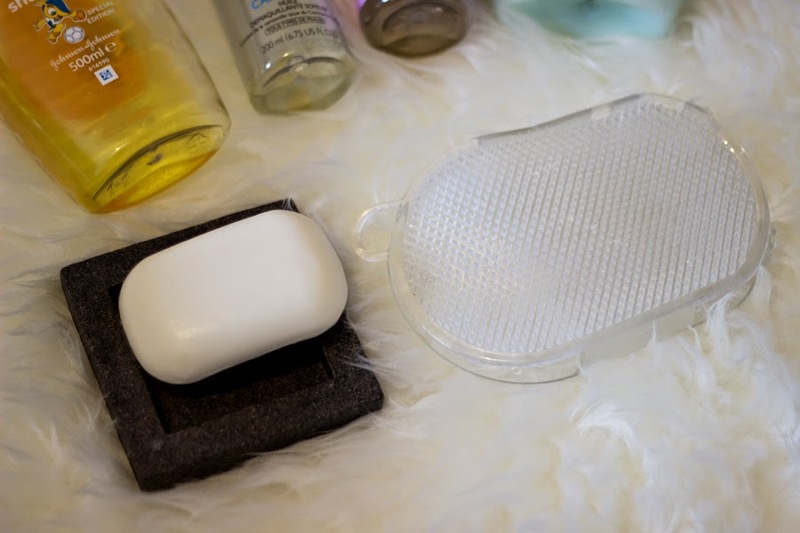 Any bar soap will do and all you need to do is have a specific bar soap designated for washing your brush to prevent cross contamination and always store it in a clean soap dish preferably with a cover. All you need to do is wet your brush, wet the soap, swirl the brush on the surface of the soap until all the dirt comes off and rinse thoroughly and you are done. 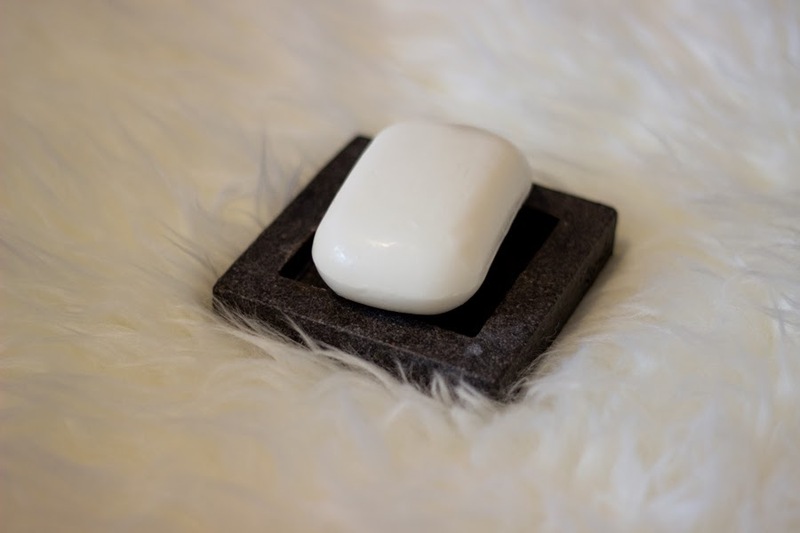 If you have sensitive skin, buy an unscented/non-fragrance soap. If like me you like your brushes to smell nice, you can buy a soap with added fragrance. 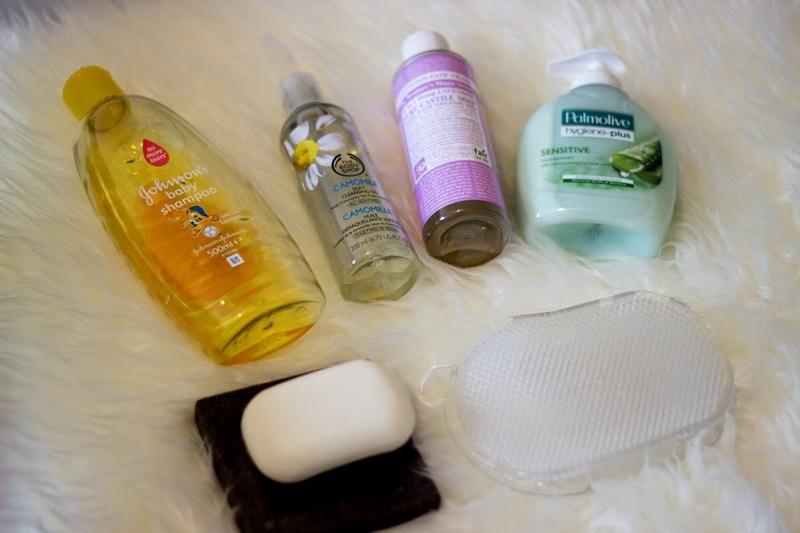 I find that washing makeup brushes and tools like the Beauty blender and Eye shadow brushes are easier to wash with bar soaps than bigger brushes because bar soaps have a small surface area. I used this for a long time and I must say the results are outstanding. I love using Fairy Liquid Wash (not in the picture) because I feel it washes both dishes and brushes really well. Same method-Wet your brushes and pour some water into a clean bowl and add a few drops or swirls of fairy depending on how many brushes you need to wash. Swirl the brushes in the mixture and you can use your hands to massage the brushes . Rinse and you are done. 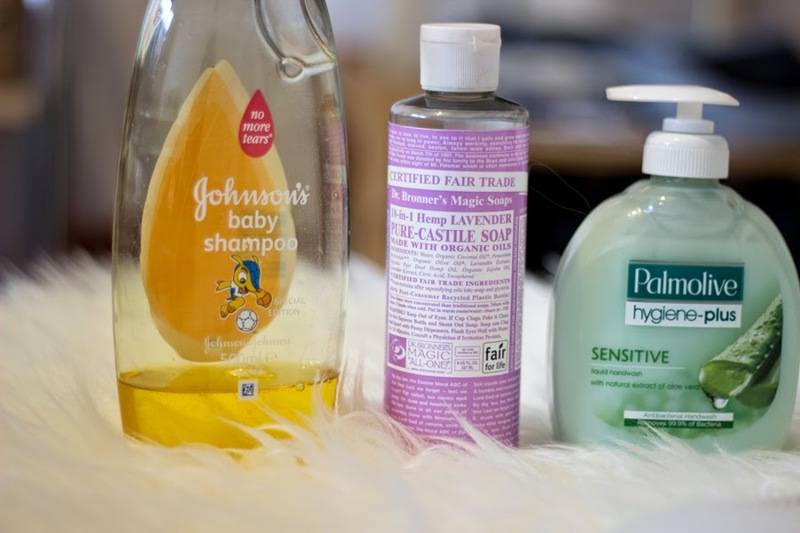 I also find that Johnson Baby Shampoo gives one of the best results and keeps my brushes really clean, soft and sweet-smelling just like a baby. Now this is the real deal. 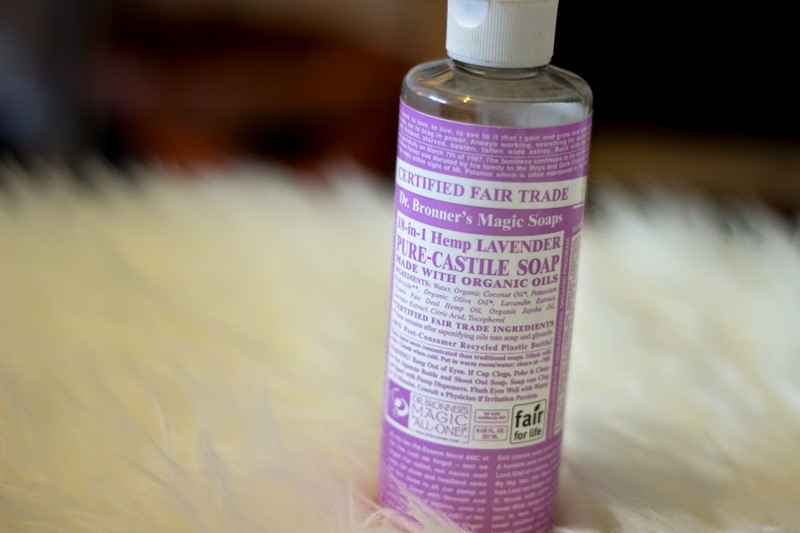 I had heard so much about the Dr Bronner range and decided to try it out and my word! It is fantastic!!. I am considering doing a full review but it is a multi purpose soap that can be used for any and everything. 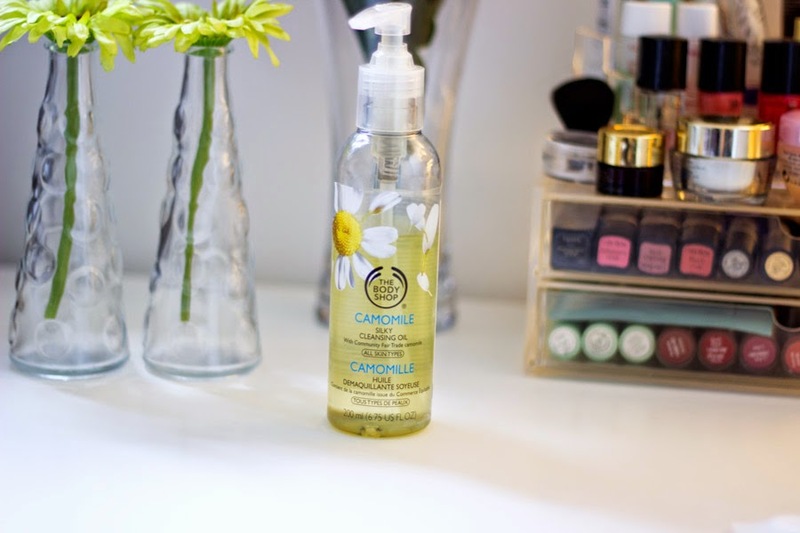 It is quite concentrated so you need only a few drops in water and it wipes out my brushes clean. I don't even need to swirl or massage with my hands. It does the job and wonderfully well at that. Trust me, this would literally make brush washing so easy that you would wonder why you ever left your brushes unwashed. A what?!!! Hang on and stay with me. Now I did not buy this for its actual use because I am more interested in getting my brushes clean. This lil' device has two sides: a side with bigger bristles (don't know what to call them) and one with finer bristles.I use my bigger brushes (Face Brushes, Cheek Brushes, etc) for the bigger bristles side and the smaller ones like the eye brushes for the finer bristles side. They are amazing for washing brushes and you don't even need to use your palms to wash your brushes. All I do is swirl my brushes in soapy water/mixtures made from the above liquids and massage across this massager, rinse off and that is all. My brushes have never been cleaner and it takes the littlest effort; in fact, it is actually fun doing this. Best part: it's only £1. If you don't have a Wilko near you, you can use an oven mitt, Soap and Glory Mitt, etc. Anything at all that has grooves in it will do the job. 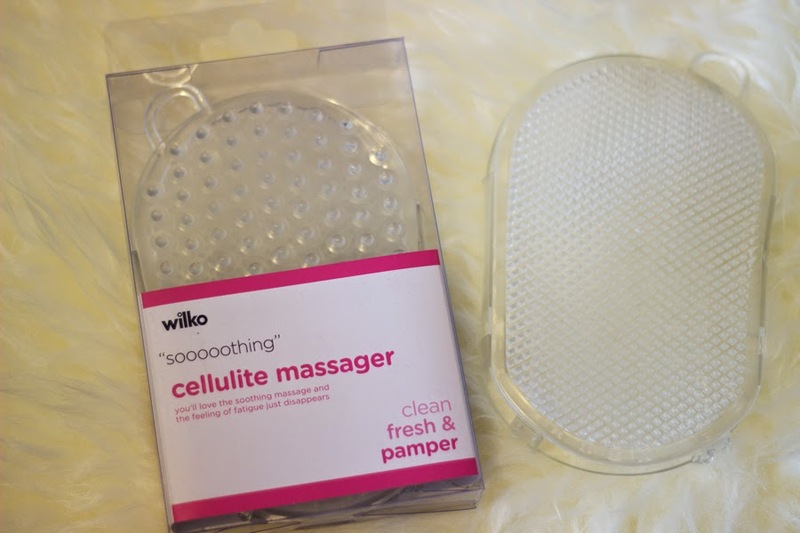 I hear Sigma has something similar but I will save my pennies when an Oven Mitt or this amazing Wilko Cellulite Massager can do the job. Really useful tips, thanks! I'm going to try the bar of soap one this evening now! Perfect! Thanks so much for taking the time out to give these extra tips. I tried just as you suggested last night and I was amazed how great the bar of soap worked and also I tried your tip of squeezing extra water out first with a towel and leaving on a window sill- worked a treat. Yes, perhaps I should invest in some real techniques brushes soon, I've read your reviews on them...I currently use some from Avon which work well for me at the moment and a blusher brush from Lancôme which I refuse to replace as it cost so much!! 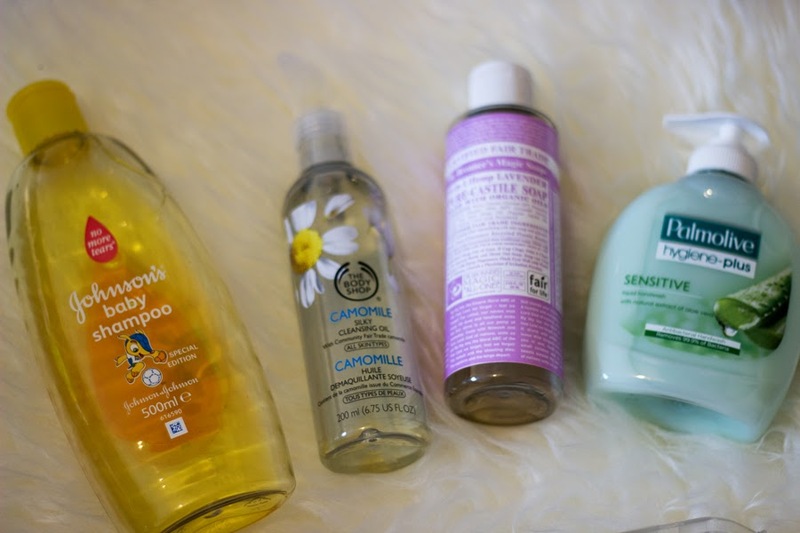 September 2014 Favourites- Video too!! Goodbye August and Hello There, September!